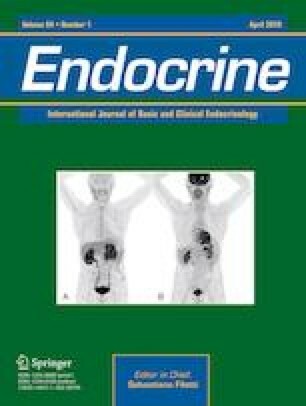 The overdiagnosis of thyroid nodules and indolent thyroid cancers represents an increasing burden on health services, with thyroid ultrasound (US) imaging often representing the initial entry point into the thyroid nodule diagnostic pathway. The aim of this study was to retrospectively review thyroid US referrals to a single Irish hospital to determine if the stated indications for imaging had been appropriate, to review the results of the scans, and to assess the follow-up required in each case. Patient demographics, scan indications, results, and outcomes were retrospectively reviewed for all patients undergoing thyroid ultrasound from 2012 to 2016. Data were analyzed using GraphPad Prism and expressed in mean ± standard deviation. In total, 318 patients (mean age 53 ± 15 years, 85% female) had at least one ultrasound. Most US scans were performed for appropriate indications in order to follow up known thyroid nodular disease and/or malignancy (34.3%), to assess new thyroid goiters or discrete neck lumps (33.3%), and to follow up incidental findings from other imaging modalities (12.6%). However, scans were also requested (in the absence of any palpable goiter or mass) for choking/neck pain/swallowing complaints (12.3%), hypo/hyperthyroidism (6.6%), and miscellaneous reasons (0.6%) that were deemed either potentially or likely inappropriate. Of these scans, approximately half of the identified nodule(s) were deemed unlikely to be related to the stated symptoms, but which subsequently required follow-up imaging ± biopsy. No cases of malignancy were identified. In our center, a significant percentage of thyroid US scans along with their subsequent follow-up were potentially avoidable. For this type of study format, consent was not required.